Sometimes a rethink is necessary on a project while already into it, to move forward although others may see it as a setback. The wooden support system first decided upon for the figures in the conspiracy project were clumsy and flat based. I wished the figures to stand on their own feet without any support being noticed. Two attempts later we have a support system that reflects that issue yet adds the strength for the heavy plaster. A benefit in the new design is that the figures may be lifted off the base support for easy movability. It is satisfying that with the help of my spouse we have solved that issue within a few weeks. Now we can progress with the alterations that will be required in the draping of the robes to hide the bases. In that time period I struggled with the setting for the seven figures to complete the installation and succeeded with a design. Meanwhile I am working on two small wax figures for the Terror project. I have switched from working with heat and carving, to a construction method with sheets of hard wax, this will work more efficiently because the carving with heat on the small facial detail was melting the area around. I have begun a new figure for this project using sculpy clay, which will make the process much faster. 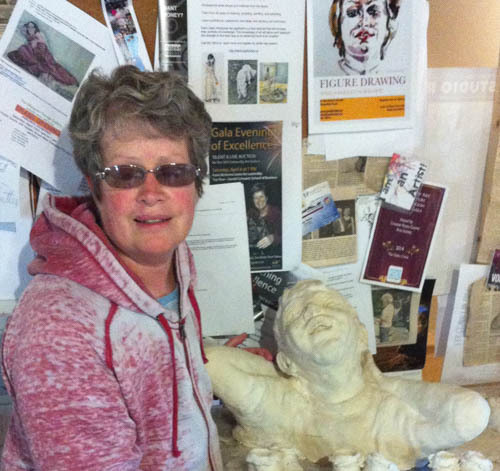 Still coming back from tendinitis caused by over use cleaning out the large Joy clay bust, it has given me the opportunity to concentrate on the business of art with workshops and updating my website. Also I am getting back to attending to my social networking apps. The Joy sculpture was fired as well and now awaits a soft stain or a buffing of colour with a new method I may try with warmer days this winter. After the Joy sculpture was cleaned I did manage to progress on my Marine series of paintings with three more artworks. That made my injury worse but did move the project forward. 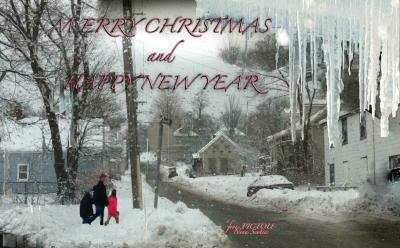 “Home on the North” shore magazine should be hitting the newsstands soon now. It is featuring my plein air piece, Snow on the fields, as the featured artist piece. I am excited to see it. 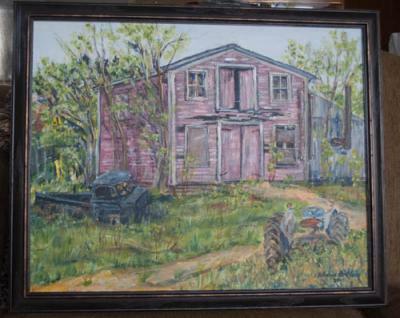 Another plein air piece from summer was donated to my community for their local centre and is being raffled as I type. As my arm is healing, I am getting anxious to see my metal ring about 3 feet in diameter that a fellow metal artist is making me for a plaster piece. I hope to show it this summer in a sculpture garden. Another piece as a collaboration has begun with the same sculptor, and I am progressing on that now. So despite my new ailment, and feeling stalled with progress, I have achieved quite a bit this summer. December always being too busy to focus in the studio, will give me that extra time to heal and ramp up for January and the rest of the winter. I do intend to get down to the studio some times, but recognize the Christmas month should be enjoyed also.